i don't really want to know..
Spot of good and bad news regarding the typhoon. First the good, it's now been downgraded to 'Very Strong' so there's something to be grateful for, unfortunately now for the bad. Yea mate safe and sound but even here in shizuoka it was really blowing! Some of the footage they are showing on the news this morning is terrifying. Cars and trucks getting rolled and rooftops ripped off, that really was an intense typhoon. About 15 minutes before the eye hit us, the tv antenna was blown off the roof and was hanging off the side of the house and smashing against the wall. Luckily when the eye came over we were able to snag it and cut the cables and pull it onto the balcony and tie it down. I would have hated to be on the Eastern side of this one. Luckily it passed pretty much straight over us. I have to say, there were a few dry mouthed, heart racing hours involved, but all in all, for us, it wasn't as bad as the one last week. Good to hear your both ok! That must have been an nasty experience, glad you two made it through ok. Lucky you were able to get out when the eye passed over and cut your tv antenna free, goodness knows how much damage that could have inflicted if left banging or even ripped off. 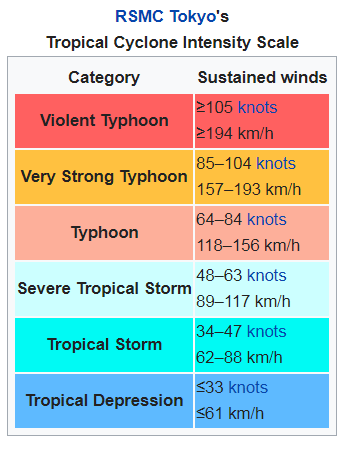 It's probably too early to say but it does make you wonder if these strong typhoons might become more frequent as the climate changes. Looks like we might be getting another!